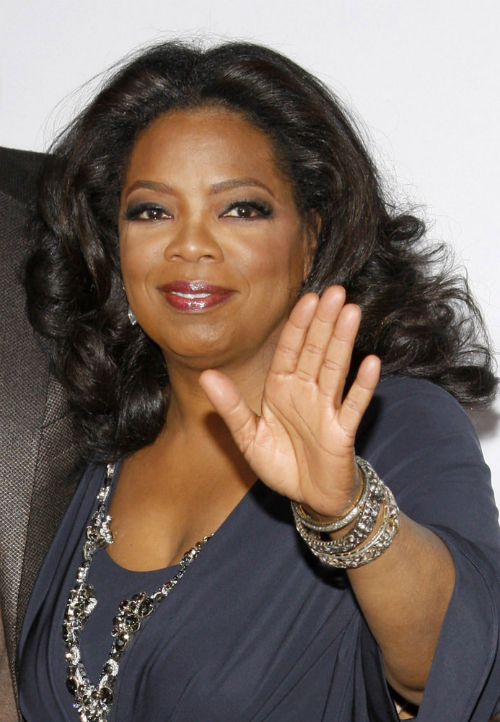 Oprah’s hair is as notable as everything else about her. 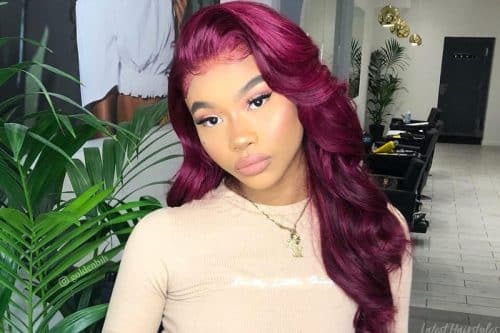 Check out these looks below for some of her most inspiring contemporary hairstyles and how to recreate them. 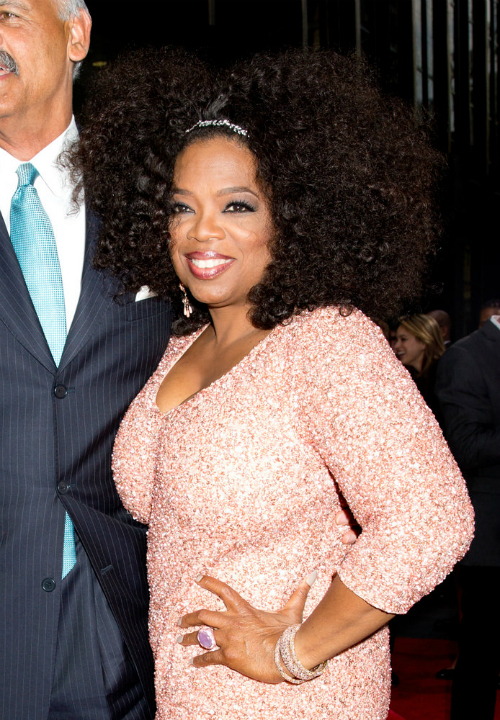 Oprah rocks a larger than life, curly afro that’s fit for any red carpet and beyond. Set hair with mousse and leave in conditioner. Roll hair with flex-rods (smaller rods for shorter and tighter curls, thicker rods for longer loose curls). Remove rods and separate curls with fingers for more volume. Use Carol’s Daughter Macadamia Heat Setting Foam and Black Vanilla Leave -In Conditioner to set hair perfectly. This statement hairstyle can be worn on any face shape and texture. If you’d like to spice it up a bit, flip the hair over to the left or the right instead of straight back. The confidence that this lovely wavy ‘do exudes is perfect for the office or any place where confidence is key. For long lasting curls wet hair then evenly distribute mousse and leave in conditioner to whole head. Part the hair into 3-4 sections and begin applying rollers throughout the hair. Allow hair to dry for at least an hour with heat. Longer depending on how coarse your texture is. Try Carol’s Daughter Macadamia Heat Setting Foam or your favorite mousse as a setting product and your favorite leave in conditioner to add that soft, natural shine. 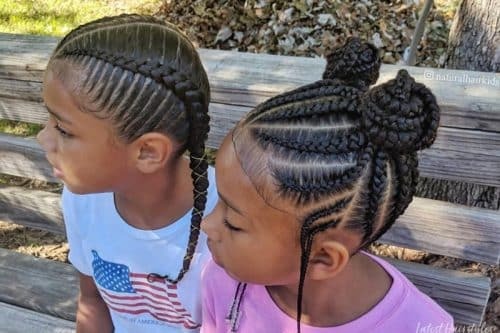 This hairstyle can be worn on any face shape and mostly any hair texture; however, relaxed hair will allow for the best result. This style features a sleek ponytail adorned with a noticeable and very chic hump. Softly heighten hair at the top of the crown by using the “tease” method. The teasing method will allow the hair to stay high and fabulous throughout the evening. Lastly, sleek hair with a bristle brush into a ponytail. You want it to look soft, effortlessly done, so don’t leave a noticeable space between the volume up top and the ponytail. Use your a quality bristle brush, hair pins and a ponytail holder for this style. Don’t forget a spray sheen such as Kenra Silkening Mist to add a vibrant shine. 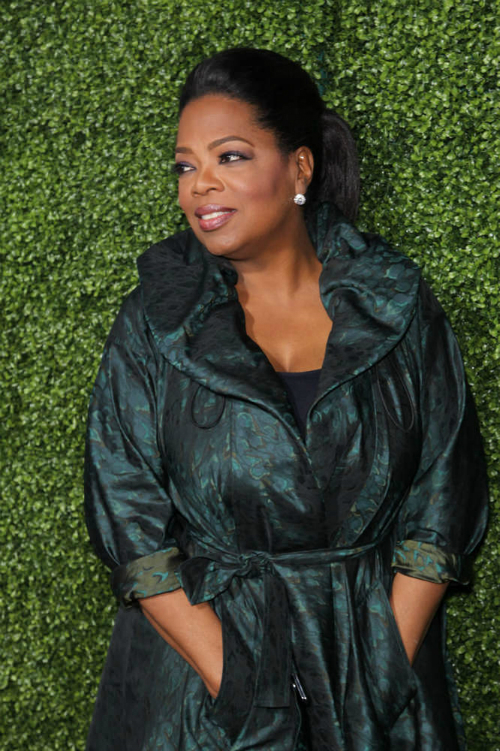 Pulled back updos look best on women with oval shaped faces and relaxed hair. 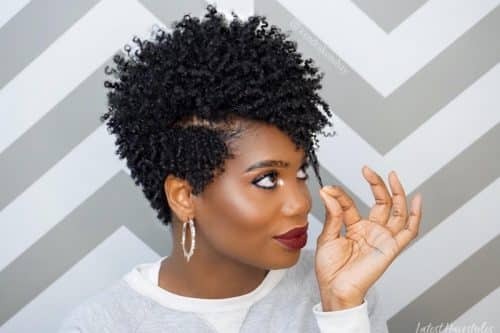 Curls are all the rage right now and this curly ‘do makes it easy to see why. If you have natural curly hair, you’re winning! Simply wet hair down and style with your favorite mousse. If you don;t have curly hair your first step would be to wet your hair down prior to setting it. Using flexi-rods, begin to roll you hair from tip to base around the rod. Remember, the smaller the rod the tighter the curl will be. Allow an hour or longer to dry with heat. 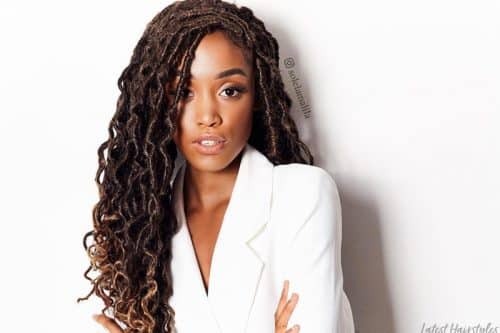 The best products to achieve this look is a mousse, leave in conditioner and a soft holding spray to that will allow the curls to remain and still be bouncy. Luckily, this is for anyone. 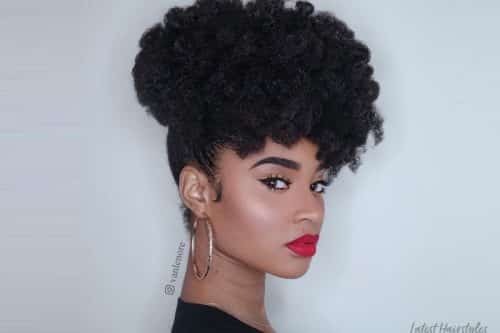 Any hair texture or face shape can achieve this look. If you would like to spice this style up this can totally be worn with a right or left side parting as well. 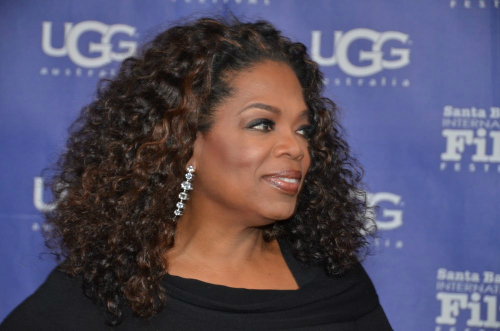 Oprah’s hair is probably one of the most famous in the world and it looks like she’s definitely been doing something right to earn such recognition. 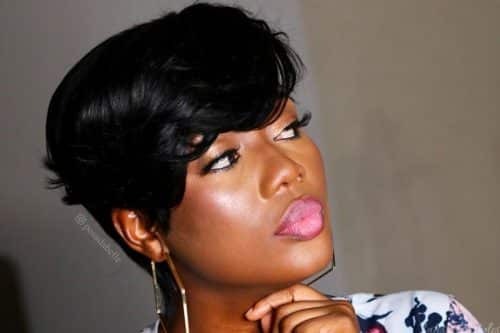 You can’t go wrong by choosing to rock one of these fabulous hairstyles worn by the media mogul herself!